Richard regularly exceeds customer expectations, achieving high CFS scores. He responds positively to constructive feedback in order to come up with solutions to problems. Richard demonstrates the ability to handle pressure or unforeseen events creatively and effectively. 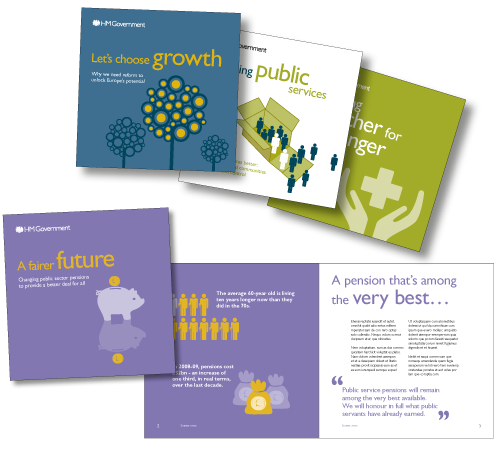 A range of brochures that use simple information graphics to make new government policies easier to understand.